At Wilson Law Offices we believe customer service comes first. Our clients are going through some of the most difficult times of their lives, and we understand that. Our goal is to provide compassionate counsel, a plan for recovery, and detail-oriented, aggressive advocacy. If you have suffered a loss, we can help you. Our practice focuses on helping people in disputes with their own insurance companies, and helping victims of personal injury due to another’s negligence. Wilson Law Offices is a trial law firm founded by Cameron Wilson, Esq., which serves Miami-Dade, Broward, Palm Beach, and greater South Florida. We invite you to call us with any questions regarding an insurance claim, injuries, accidents, or any other legal matter you are struggling with. We will not stop until you have been compensated, and we will help you recover. Se habla español. WAS YOUR HOMEOWNERS INSURANCE CLAIM DENIED OR UNDERPAID? WILSON LAW OFFICES HAS RECOVERED HUNDREDS OF THOUSANDS OF DOLLARS FOR OUR CLIENTS ON HOMEOWNERS INSURANCE CLAIMS WHICH WERE DENIED OR UNDERPAID. CALL US TODAY! 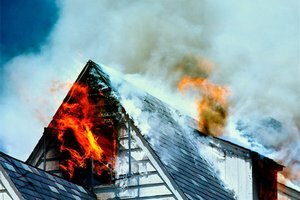 Have you suffered damage to your home, business, or condominium? Was your homeowners insurance claim wrongfully denied or underpaid? Are you simply fed up with the process? The claims process is complicated and full of pitfalls. Don’t go it alone. At Wilson Law Offices, we know how to deal with insurance companies because we used to represent them. Now, we fight exclusively for policyholders in insurance disputes. We have handled hundreds of homeowners insurance claims, condominium claims, and commercial claims which were denied or underpaid. If you have filed a claim under your homeowners insurance and are dissatisfied with the result, we may be able to help. Sometimes disputes arise between policyholders and their insurance companies; as to whether a claim is covered or not, or as to how much should be paid for the claim. If you find yourself in either of these scenarios, it may be time to contact an insurance attorney. We are trial attorneys ready to help you with your underpaid, improperly denied, or otherwise mishandled claim. If you would like to speak with an experienced insurance attorney at Wilson Law Offices, call us at 786.709.9400, or send us a message right now via our online contact form. Did you know that in Florida there are laws in place that govern how insurance companies are supposed to treat their policyholders? Did you know that there are Florida Statutes in place that specifically set forth what insurance companies must and must not do in the handling of insurance claims? Adherence to the level of conduct required from insurance companies by law is called acting in good faith. If your insurance company does not adhere to the standard of conduct mandated by law, it fails to act in good faith or acts in bad faith. When an insurance company acts in bad faith, the policyholder may have the right to sue the insurance company and collect damages. 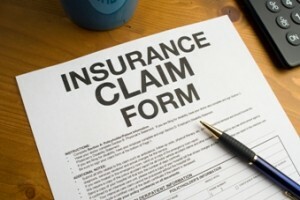 If you feel that your insurance company has acted in bad faith by improperly denying or underpaying your insurance claim, by wrongfully canceling your policy, or by otherwise acting without your best interest as a policyholder in mind, you should consider contacting an experienced property insurance attorney to learn about your rights and potential remedies. In our complicated lives, we come into contact with hundreds of people every day. We travel roads with other drivers, enter and exit private property, and use products manufactured all over the world. It is easy to forget that behind every one of these interactions is the trust that others will take reasonable care not to harm us. Unfortunately, with so many such interactions, there are many opportunities for others to break that trust and create a hazard or risk which ends up harming others. Individuals who’ve been seriously injured by the negligent or wrongful actions of others have their lives turned upside down. In addition to physical injuries — medical bills, lost wages and other expenditures will frequently add a painful amount of pressure on these people and leave them with many unanswered questions. We have answers to your questions and can provide the support and strong representation you want to handle claims involving car accidents, premises liability, slip and falls, medical malpractice, and more. We inspire trust with our clients. We have earned this trust by practicing law with the highest ethical standards in the legal profession. Our positive results are achieved naturally through a combination of experience, skill, hard work, integrity and compassion for our clients. 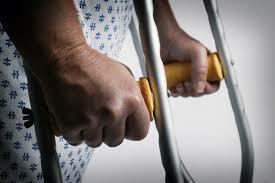 If you have suffered a severe injury, Wilson Law Offices can help you. Please call now 786.709.9400 or e-mail us for an immediate, consultation with our experienced injury lawyers. We are property insurance claims and personal injury attorneys practicing in Miami, Miami-Dade, Broward, Fort Lauderdale, Boca Raton, Aventura, Parkland, and other communities in South Florida are here to help. Bad faith claims, hurricane damage claims, storm damage claims, plumbing loss, burst pipe, broken pipe, fire loss, theft, vandalism damage – these are all things we can help you with and all of these perils are covered under many residential and commercial property insurance policies.